The survey sites were created by marketing research companies to enable companies (their clients) to know all the information they need to improve their products and develop others. To be able to create new products that will please us, marketing research companies use different techniques. maybe (exceptionally) become a mystery shopper. To begin, surveys are well known and allow companies to know the opinion of Internet users and/or consumers through simple online questionnaires. Then, the length of a survey depends on the subject, but also on the client's request. Indeed, the more interesting the subject, the longer the survey can be, and the more expensive the survey will be for the client who has requested it. Nevertheless, as an internet user (or panelist), this will also mean that the longer a survey, the more money you will earn by completing it (if you match the required profile, of course). In summary, the compensation offered for each survey varies according to its length and can reach up to $ 5 depending on the survey provider. As a rule, surveys are paid up to about $ 2 per survey. But, Samplicio.us (which is intended for a professional audience) sometimes offers $ 5 per survey. others like GlobalTestMarket and MySurvey will offer you to choose between gift cards or PayPal payments. This is possible thanks to Perks which is an intermediary used by several sites and which makes it possible to pay the members in different ways. To be able to create the perfect product (it can be a material thing, a drink, a cosmetic product or other), sometimes, companies contact marketing research companies to test their products (already marketed) or their new products (which are not yet present in stores) by several peoples. Although product testing is rare, it's still possible to test different products, including food, new drinks, ... by registering on simple surveys sites. If you mainly want to test products, I recommend Toluna that offers product testing every week. That said, to be able to test products through surveys sites, it will first be necessary to gain the trust of the various surveys sites. For that, be active (fill up a lot of surveys) and be serious (take your time and read the questions well to avoid giving wrong answers). Who knows, one day you may be invited to test a product. When a survey site offers to test a product, you will have the right to accept or reject it if the product doesn't interest you. If you accept, you will receive the product at home and you can test it for free. Once tested, you will be able to keep the product and you will just have to answer some questions via an additional survey (also paid) that you will receive a little later. talk about it with other people and even less on the Internet. In addition, the product may arrive in a white packaging and it must remain confidential. That's why you will never find a photo of my product tests or brands on my site. Nevertheless, I can tell you that I have already tested biscuits, chocolate and new chips created by companies well known in their sector. In rare cases, a survey site may invite you to join an online community or discussion group. In both cases, the principle is the same. Only the number of members invited can vary. 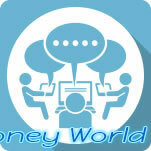 online discussion groups : you will discuss about a common topic with a few other people. online research communities : in this case, the principle will be the same, but the number of people will vary between 50 and 100 and the duration of your participation in this community will be longer. Even if this type of market study may seem compelling, be aware that this is rare and that it's very well paid. On some survey sites, it's possible to become a mystery shopper. When you sign up as a mystery shopper on an online site, you have to go where the company asked you and do what you were asked to do. 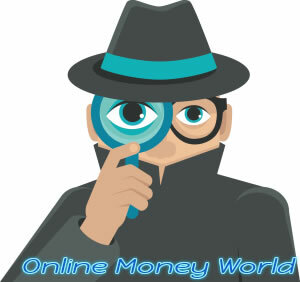 What is very interesting when you become a mystery shopper is that everything you are asked to do will allow you to make money (a commission for doing the work required), but in addition, all the costs incurred by this mission will be reimbursed by the company that asked you. While this sounds interesting, you should also know that this kind of paid work is considered as a real job in the sense that the company will create a work contract for each mission that you will have to perform. This can be problematic if you are unemployed or don't report this extra tax amount. 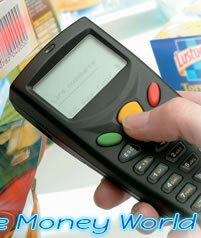 How to become a mystery shopper ? register directly via the form offered by a company that offers this type of work, such as GFK (Mystery shopping). search for "mystery shopper" job offers on job search sites. Some market research companies (such as Nielsen and GFK) also offer a Homescan panel that will allow you to earn money by simply scanning your shopping. The goal is, for these market research companies, to be able to accurately analyze the habits of consumers to know what products are bought, when they are bought and where they are bought. With all this data, merchants (such as supermarkets, but also convenience stores) can better meet the demand of their customers. In return, you will of course be rewarded with gifts, gift cards or money. It all depends on where you sign up. Finally, there are also other types of market research that are much less common than those mentioned above. participation in a private blog proposed by the survey site where you are registered.